Vicki had an access to an apple tree this year. Yay! And what could be better if not to use these genuinely organic apples for making preserves? 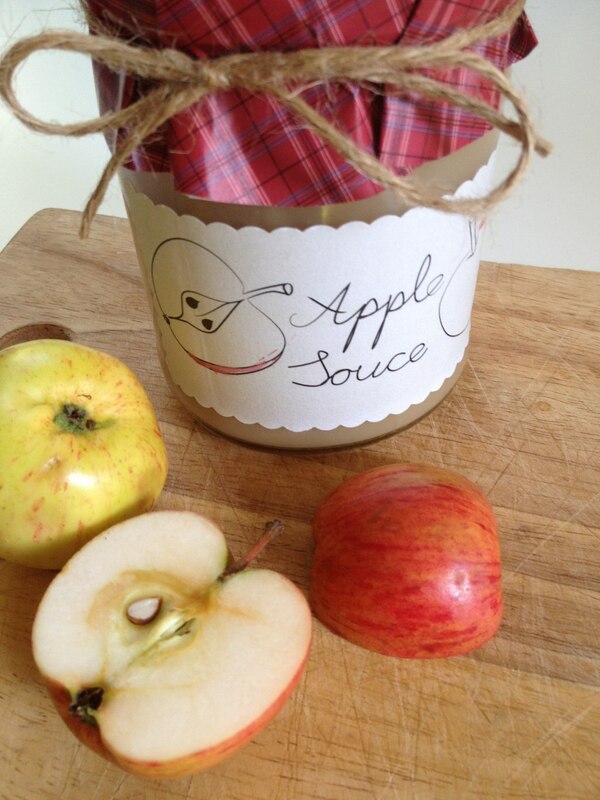 I thought I will make an apple sauce since I heard that you can use it to substitute sugar! However I was quite disappointed for a moment as I found out from many apple sauce recipes that in fact you need to add sugar and butter (wow!) in order to make it :-(…. bummer! It doesn’t make sense to me why would you use the apple sauce as a sugar substitute when it contains sugar anyways. Luckily after doing a further research I have released that I can still make a sugarless apple sauce, however I would need to take extra care in preserving it. So this is how I made it. 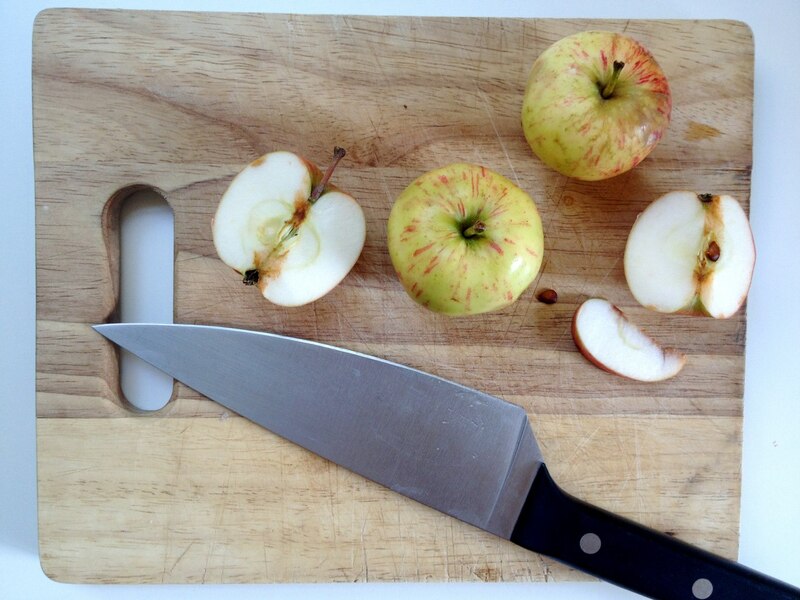 1.Clean the apples by pealing them, removing cores and any blemishes. 2. Put the apples and cinnamon stick if using into the pot and cover it slightly with water. Cook it for about an hour. 3. Meanwhile preheat the oven to 180C. Wash the jars in warm soapy water, then rinse and dry them and place upside down in the oven for 10 min. 4. 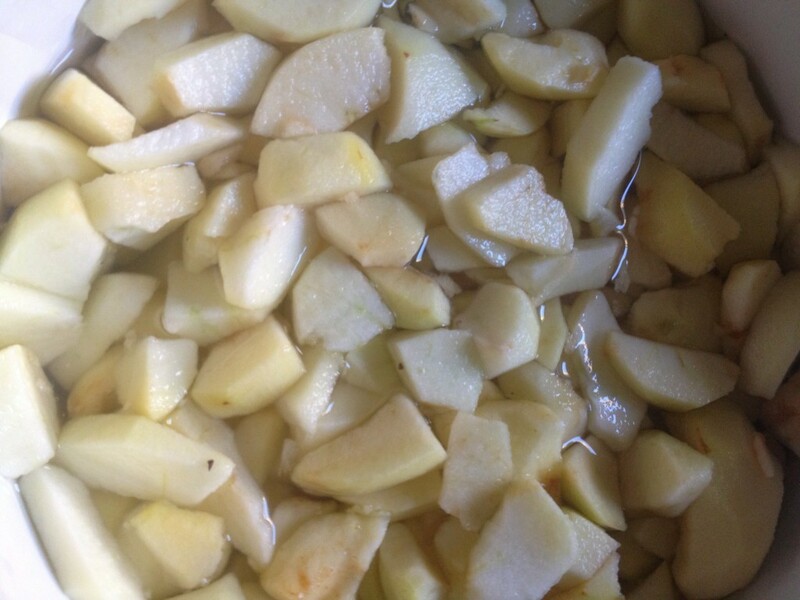 When the apples are cooked, drain them slightly (don’t throw away the juice) and puree it with the food processor. 5. While the apple sauce is still hot pour it into the hot jars (very important, otherwise you can end up with the apple cider). This one needs a lot of practice! I must admit I messed up the first time round, the jar lids got popped open. It must be because I let the cooked apples cool before pureeing them. Let’s hope this time it won’t happen again!